This multi-functional transport truck provides three modes of operation for total control in all circumstances. 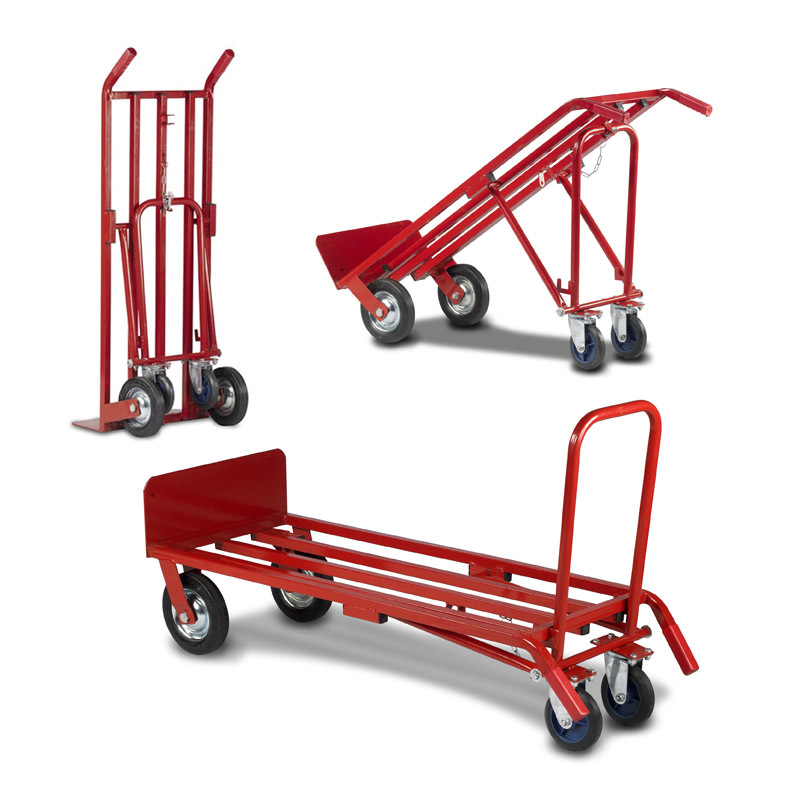 For the most part you will probably use the standard sack truck function, this provides the quickest and most convenient way to transport boxed goods in the workplace. However, when the time comes to move a particluarly heavy and/or awkwardly shaped item you have 2 more carrying options. The 4 wheel assisted sack truck position takes the strain off of the end user to allow easy movement of even the heaviest goods.